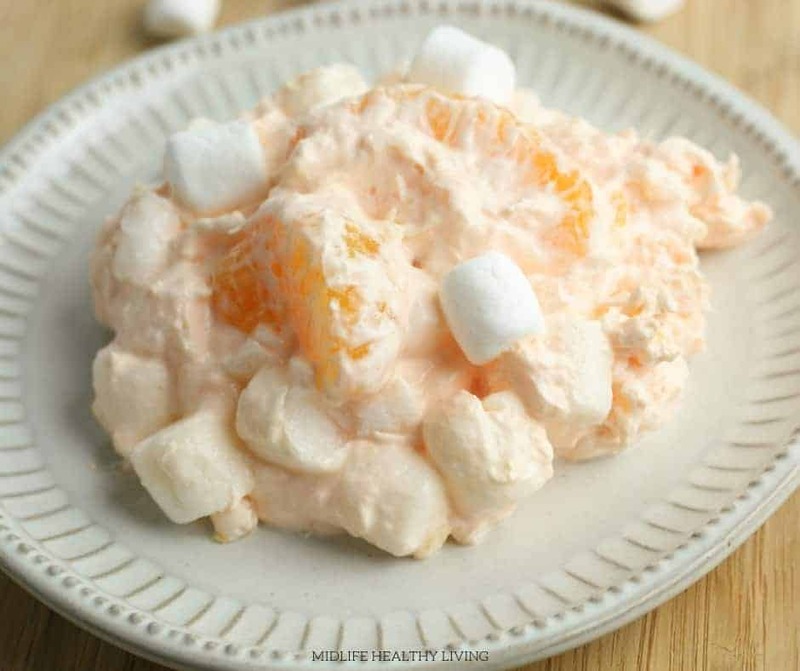 Orange fluff dessert is a quick and tasty recipe that the whole family will love. A healthy dessert choice that is low in Weight Watchers points and tastes great! When spring and summer start to roll around I need fresh dessert options! There’s nothing worse when a craving strikes than trying to just “skip” dessert. Not happening! 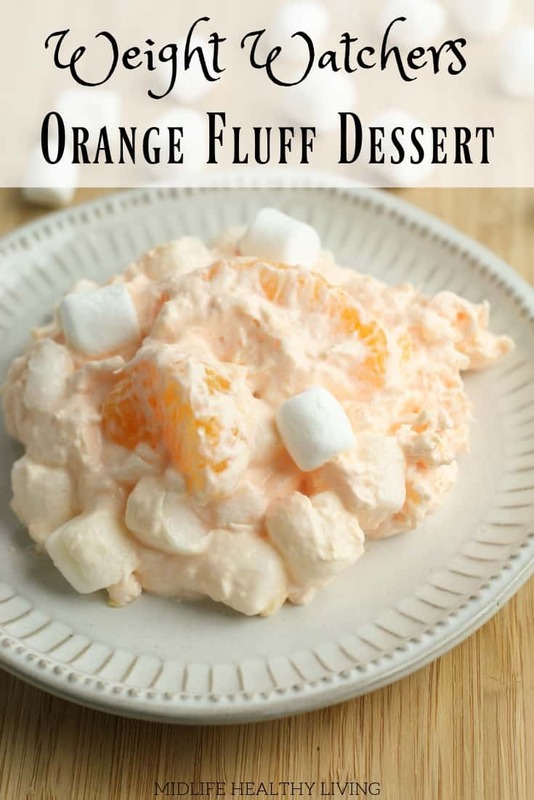 That’s where this great orange fluff dessert comes in to save the day! 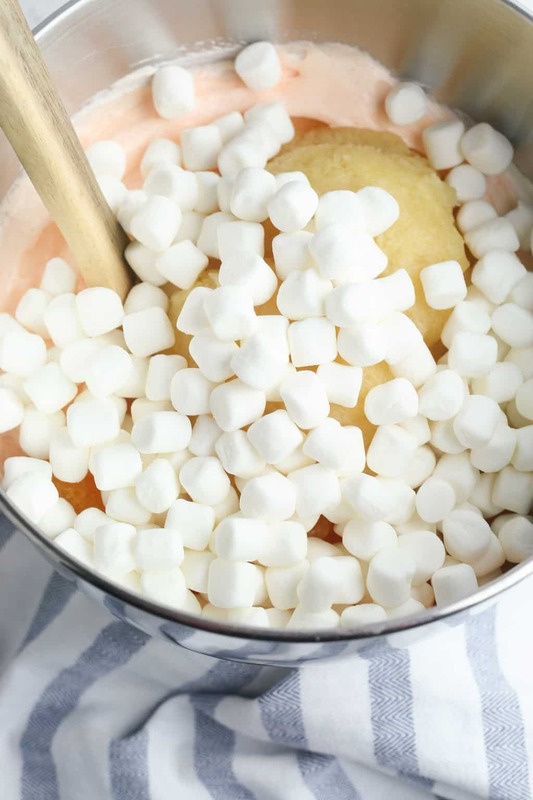 Weight Watchers fluff is a delicious dessert that is healthy and easy to make. How many points are in this Weight Watchers fluff? Each serving of this delicious and healthy dessert is 3/4 of a cup. 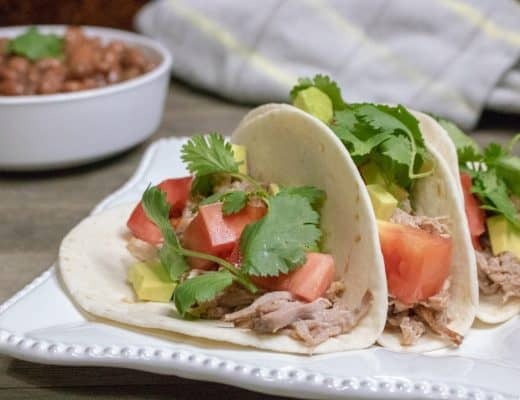 There are 3 Freestyle Smart Points in each serving. I’ve found that this is a nice little indulgence when a craving strikes. It really helps to fend of cravings for more processed sugary snacks. Is this a healthy dessert? 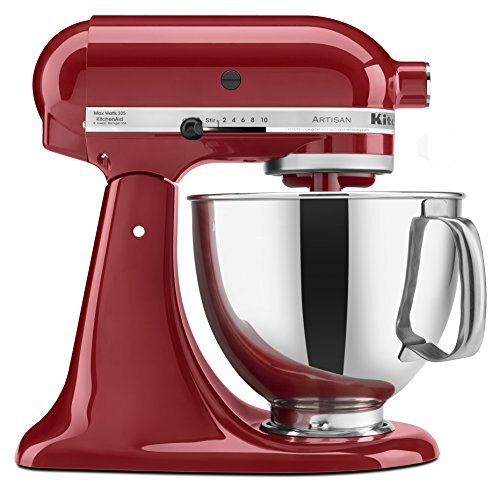 I think this is a great choice for healthy dessert recipes. The Greek yogurt in this recipe gives it a nice amount of protein which will help you feel full longer. The protein is also great for giving you energy and the natural sweetness of the fruit gives you plenty of kick to balance out the plain yogurt taste! Do you have any other Weight Watchers dessert recipes? Certainly! Dessert is my favorite part of any meal so you better believe that I have stocked up on delicious recipes to help fend off those sweet tooth cravings. 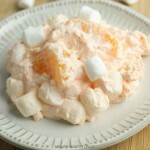 How do I make this easy orange fluff dessert? 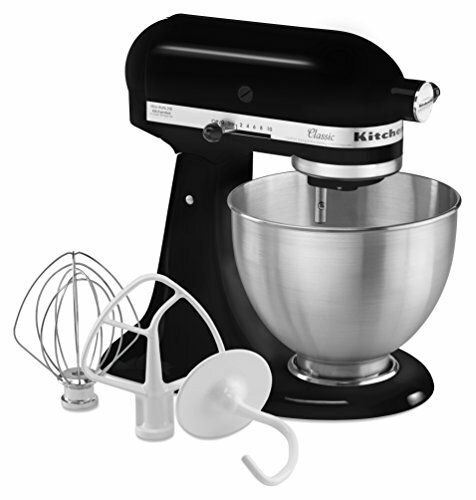 Place nonfat Greek yogurt in the bowl of an electric mixer fitted with the whisk attachment. Beat the yogurt until light and fluffy, around 10 minutes. Add the nonfat whipped topping and stir to combine. Add the mandarin oranges and pineapple. Stir to combine. Fold in the mini marshmallows. Refrigerate mixture for at least one hour before serving. It’s as easy as that! 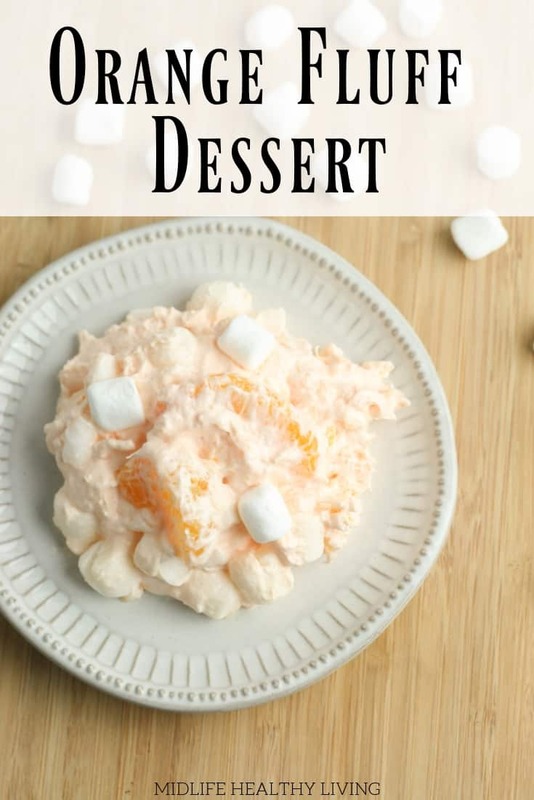 In just a few quick steps you’ll have a great dessert on hand that is low in points and so delicious no one will know it’s Weight Watchers friendly! 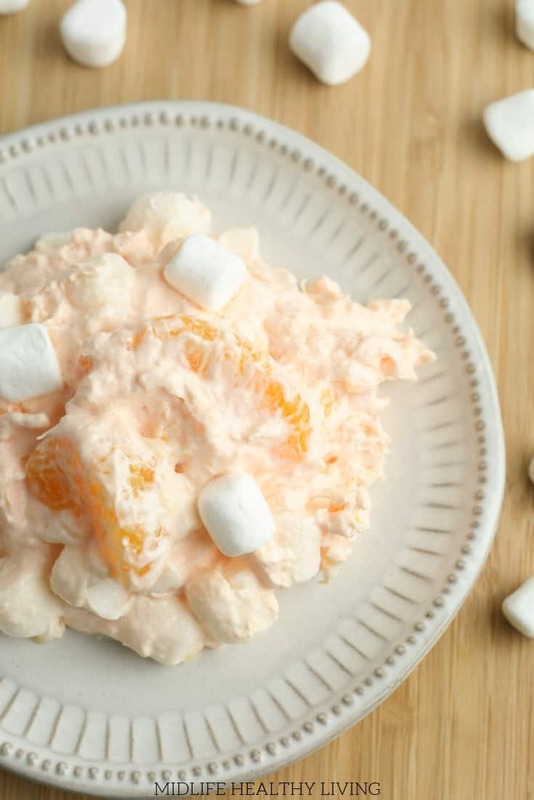 Does this Orange Fluff Dessert have Jell-O? Yes! This Weight Watchers dessert recipe calls for Jell-O. It isn’t prepared like normal gelatin though, it’s just the powder that is included in this tasty recipe. You’ll get a nice punch of flavor without all the extra sugar and calories associated with some other options. Remember, you’re using sugar free Jell-O! How can I lower the Freestyle Smart Points in this Weight Watchers fluff? Omit the mini marshmallows altogether. 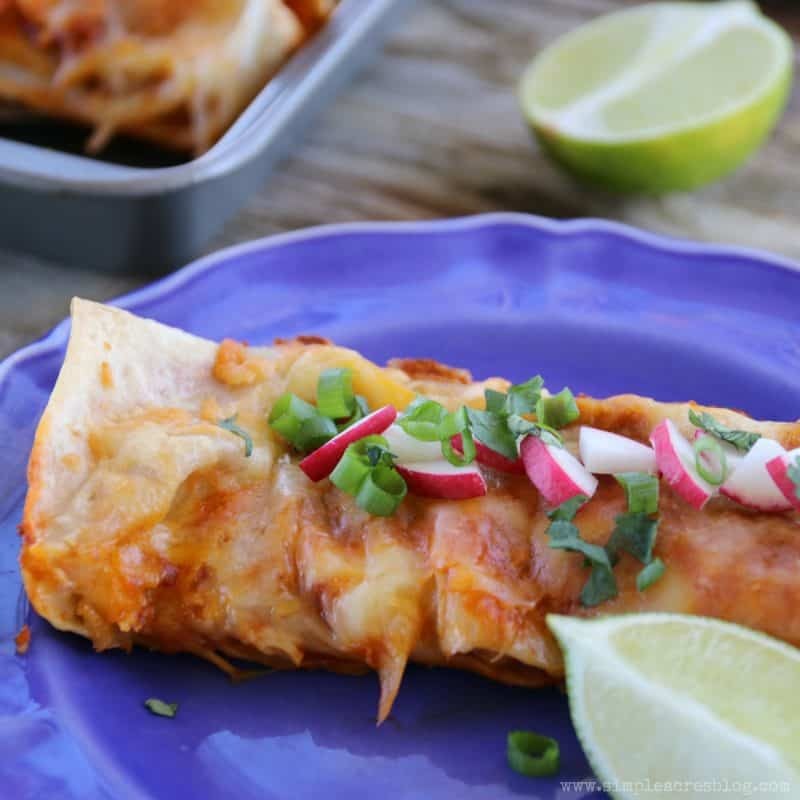 They don’t do much for the recipe but add a bit more sweetness and texture and you can definitely do without them if need be. Another way to lower the points is by using fresh fruit. If you want you can use mandarin oranges and just peel them, chop them up a bit, and that will help reduce the points! 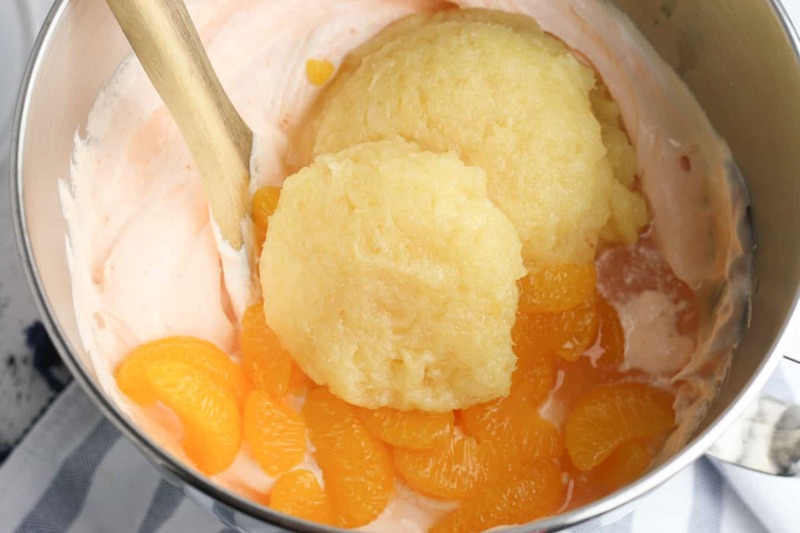 How much does this orange fluff dessert recipe make? This recipe makes quite a bit! 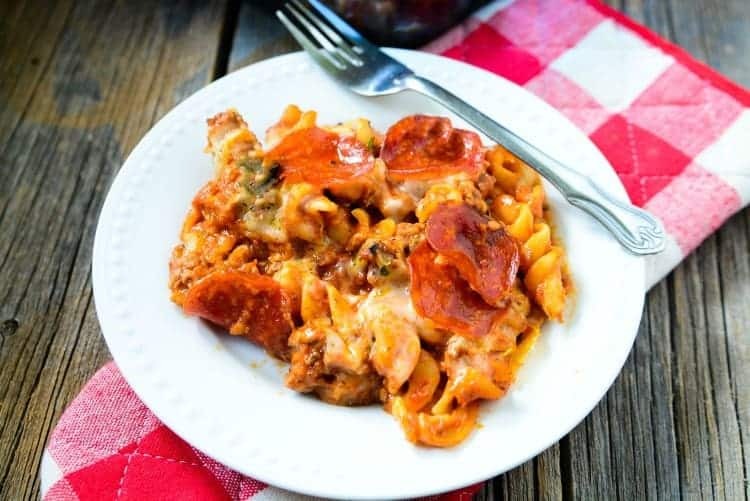 It makes about 10 servings at 3/4 cup each. That means it’s great for a crowd and for having on hand for a few days for desserts and snacking. Does this orange fluff last long in the fridge? I wouldn’t keep this around for too long in the fridge. 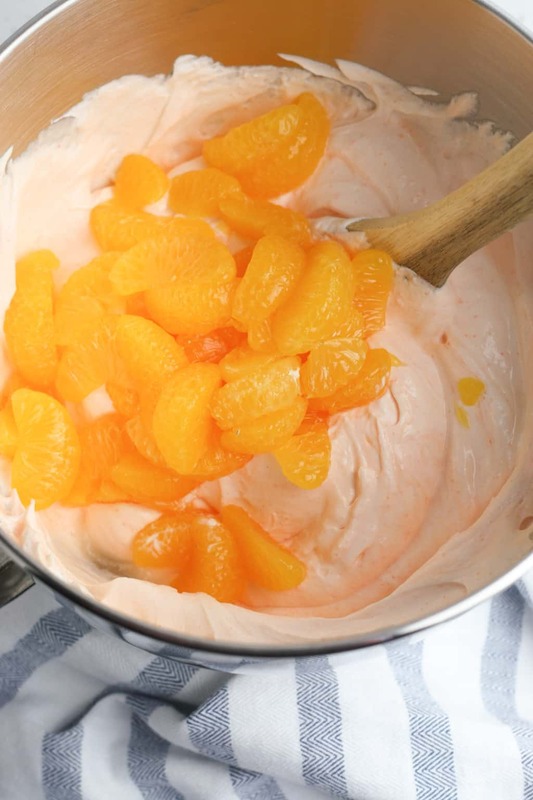 Any dessert that calls for fruit that is wet and yogurt or whipped topping you can bet will separate in the fridge after a day or two. I don’t think the flavor goes bad but it starts to look less fluffy and more soupy after a few days. You can mix it back up and enjoy it but it won’t keep it’s great texture for longer than a day or so. If you are worried about having wasted Weight Watchers fluff on your hands you can divide the recipe in half. 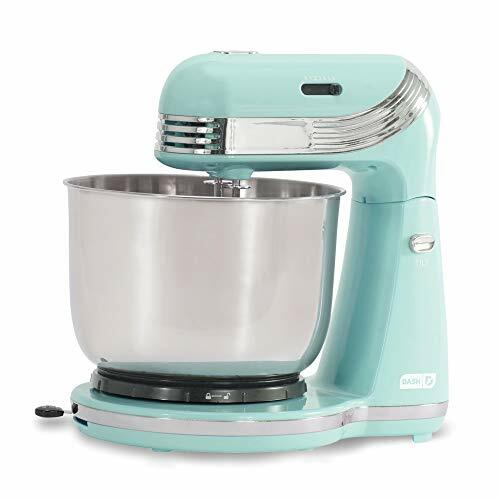 Place nonfat Greek yogurt and Jello in the bowl of an electric mixer fitted with the whisk attachment. Beat the yogurt until light and fluffy, around 10 minutes. Note: Each ¾ cup serving has 3 Weight Watchers Freestyle points.